MediaSwitcher™ allows full control of the Just Add Power HD over IP™ video matrix from a Macintosh, Windows or Linux computer. 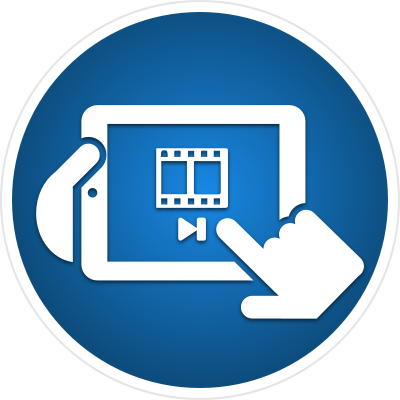 It allows easy and flexible control and provides an instant overview of the entire video matrix allowing the user to see what video sources are on specific screens. After we are notified of your purchase, we will send instructions via email on requesting and obtaining a license key. Thank you for your interest in MediaSwitcher. 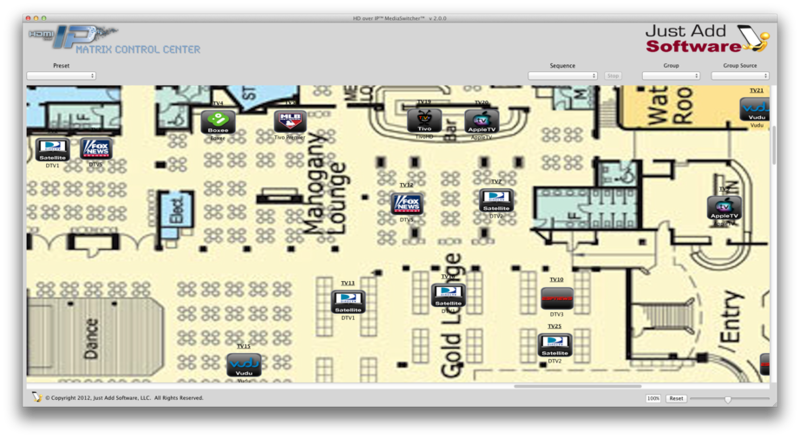 Customized Layout - Drag and drop a background picture/room layout onto the window and move the screens around to the desired position of where they are in the real world. Draw your own screen sizes and positions. Support Global Cache IR adapters or Just Add Power "Flux Capacitor"
Schedule for repeating days and times - daily, weekly, monthly, bi-weekly, etc. Select the source. Then see which screens are selected for that source. Select new screens for that source. Support for multiple switches across large and complex networks. Wall - Add-on package for any version that adds support for controlling screens in a video wall configuration. MediaSwitcher™ 4 currently supports switches from Luxul, Cisco, Luminex, Ubiquity, Dell, Netgear, and HP. Support for other models and brands can be developed. Please contact us for more information. MediaSwitcher is also capable of being controlled by other external control systems either via serial or TCP connections. Allows control of a single screen by using icons to change which source is being viewed. It is useful in installations where control of just one screen is desired in a specific place such as an office or conference room. Enables control of MediaSwitcher™ from a command line interface. This allows for script based control of the video matrix. MediaSwitcher™ comes with a 30 day free trial where all features are enabled. After 30 days, a registration code is required. Please see the user’s manual for details on how to obtain a registration code. Note For MediaSwitcher Web™ users: MediaSwitcher Web™ 4 is required for use with MediaSwitcher™ 4. Please download from the MediaSwitcher Web page.